From 7 to 20 year old vines planted in calcareous, limestone soils in northwestern Spain. Planting density ranges from 800 to 1200 vines per acre. Arrumaco is a brand created by long-term importers Hand Picked Selections. The winery, Bodegas Gallegas, started as a passionate personal project more than 50 years ago and has grown into a large company in the wine sector, one which still maintains the same family character and traditions that it held at the beginning. Maintaining this delicate balance is the true essence of Bodegas Gallegas. 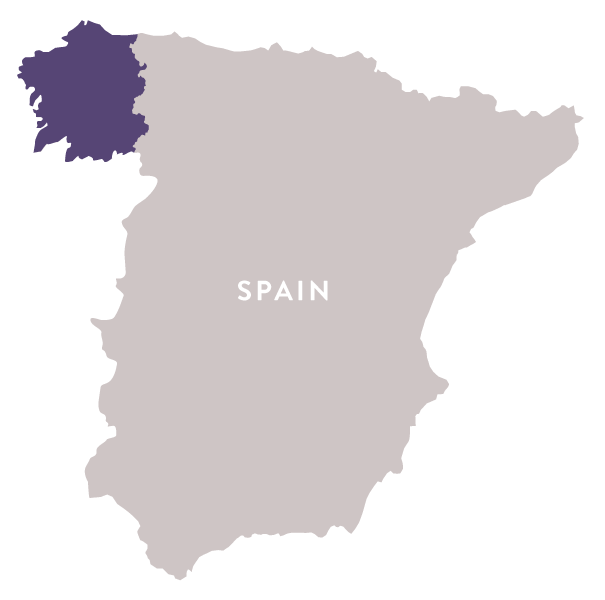 Nowadays the group, which has more than 50 years of experience, consists of 5 large bodegas in Galicia in the North East of Spain and the wines are sold in more than 40 countries throughout the world.